I’m back! It’s good to be in the swing of outfit photos again. I spent most of my vacation in shorts and t-shirts, but seeing as it’s still in the 90s here in Omaha, I’m wearing something similar — only slightly elevated and sweeter. 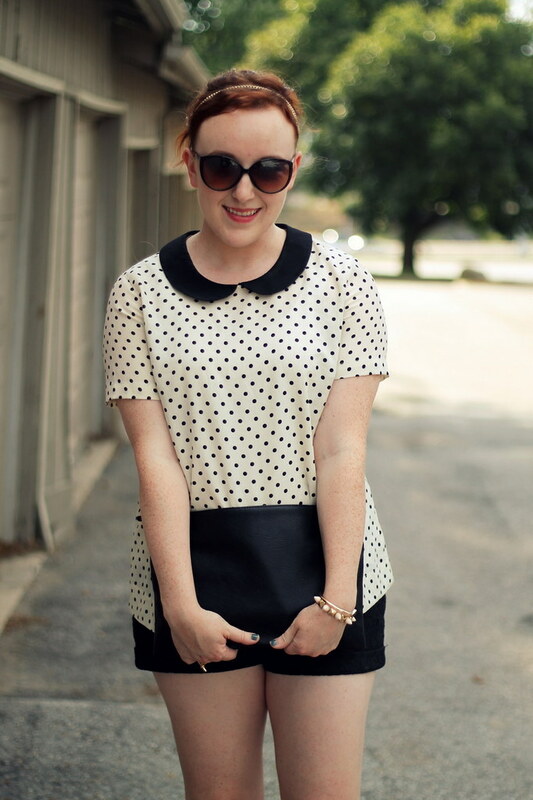 You can’t get much sweeter than polka dots, a Peter Pan collar and a headband. 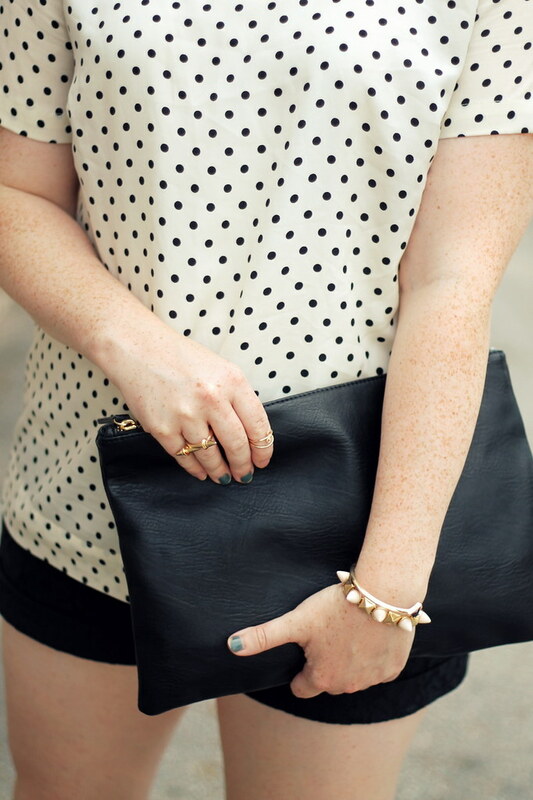 I toughed things up with studs (my flats) and spikes (my ring and bracelet). Did anybody watch the U.S. Open final last night? I was rooting for Djokovic, but I’m happy for Nadal and his win. If anyone has tickets to any of the grand slams next year, keep me in mind as a travel buddy!